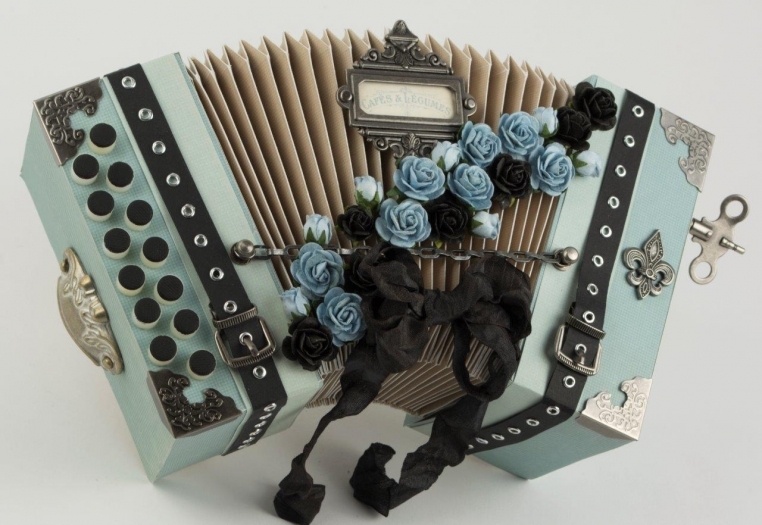 These accordions bring to mind a bygone era and the papers from Paris Flea Market and For Father give this project just the right vintage feel. I designed and handmade this project using chipboard and Pion Design papers. Both side boxes open in the back to hold photos and other mementos. Best wishes for an amazing day! Outstanding creativity Tara. Wish there was more photographs. Love your design just perfect in every way. absolutely gorgeous! I am just in awe of your work! You make my day every time I see a project! And the papers! Where do I get them??? I keep meaning to ask. 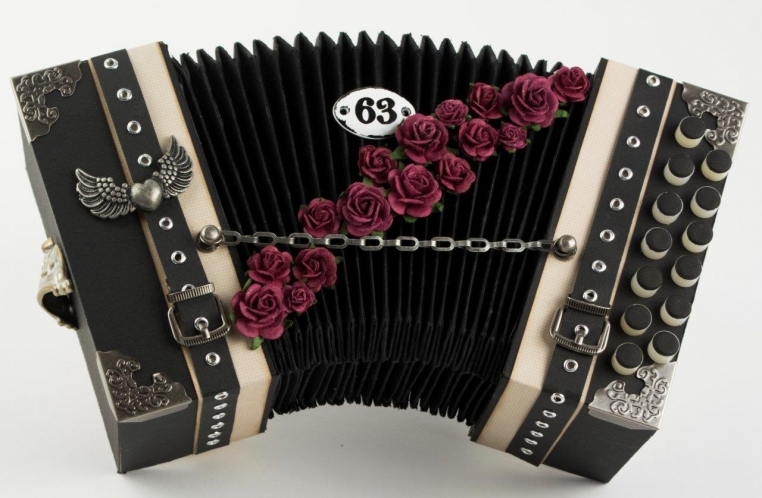 Hi Tara do you also sell a pattern of the accordion??? I love it and I want to make it for a special person.